Mulla Sadra is one of the most important Islamic philosophers after Avicenna. In this exploration of his philosophy, Sajjad H. Rizvi examines the central doctrine of the modulation of being, and contextualises his work within the intellectual history of philosophical traditions in the Islamic East. Reading and critiquing the works of Mulla Sadra from an analytical perspective, this book pays particular attention to his text the Asfar, a work which, due to its complexity, is often overlooked. 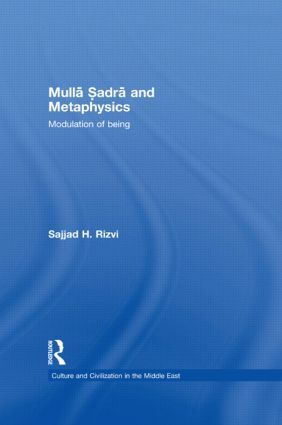 Looking at the concept of philosophy as a way of life and a therapeutic practice, this book explores the paradigm of the modulation of being in the philosophical method and metaphysics of Mulla Sadra and considers its different manifestations. Rizvi relates his philosophy to larger trends and provides a review of the field, charting and critiquing the discussion on the topic to date and exploring recent thought in this direction, to show how Sadrian thought was addressed well into the 19th and 20th centuries. This major contribution to the study of Mulla Sadra and the intellectual life of the Safavid period fills an important gap in the field of Sadra studies and Islamic philosophy, and is indispensable to students of philosophy, religion and Islamic studies, and Islamic philosophy in particular.